The 16 new castaways have mixed reactions to the return of Coach and Ozzy, two of the game's most memorable players, and an extremely close immunity challenge sparks a debate for the losing tribe members in a combative Tribal Council.k. 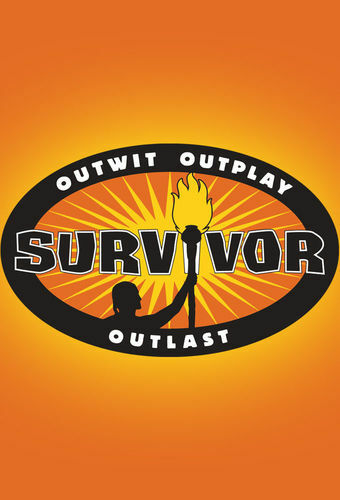 The discovery of an Immunity Idol gives one castaway an early advantage in the game, and the unraveling of a white lie leads to an explosive Tribal Council. One castaway is brought to tears when confronted with his past during an emotional tribal council, and another turns on his alliance and teams up with an unlikely tribe member. Meanwhile on Redemption Island, the second castaway is sent home. Starving castaways tap into their primal instincts at an intense Immunity Challenge, and a big betrayal shakes up the game at a surprising Tribal Council. Meanwhile, on Redemption Island a scorned castaway seeks revenge by spilling all the secrets of their former tribe, and the third castaway is sent home. Feeling betrayed by their tribe, one castaway reveals a potentially game-changing secret, and appalled by the lack of loyalty within his tribe, another castaway threatens to leave the game. Meanwhile, on Redemption Island, Christine battles Elyse to try and win her fourth duel in a row and stay alive in the game. One tribe calls upon the heavens in hopes of changing their luck, while the other tribe is left in shock when one of their own makes a risky move that will go down in Survivor history. With a potential merge on the horizon, one tribe puts on an elaborate show in hopes of gaining the upper hand on their competition, and an unlikely castaway holds all the power at a game-changing Tribal Council. After a shocking betrayal, one castaway faces the wrath of a former alliance, and a double eviction rocks the newly merged Te Tuna tribe. Paranoia among tribemates threatens to break a once-impenetrable alliance, and castaways are shocked at Tribal Council with the announcement of another double elimination. Meanwhile, on Redemption Island, a castaway makes a bold threat to his former tribemates during the duel challenge, and two castaways are sent home. At the immunity challenge, one tribemate makes a big gesture to a fellow castaway. Meanwhile, an alliance member becomes a liability around camp. A relative crosses the line during the emotional family reunion, and an unlikely secret alliance threatens the pecking order of the Te Tuna tribe. Tensions escalate at camp when the final five original Upolu members are forced to turn on each other. Meanwhile, on Redemption Island, Ozzy and Edna compete to stay in the game, and one becomes the sixth jury member. Using every last bit of physical and mental strength, the castaways battle it out in the final immunity challenge to secure their spot at the final tribal council, and jury members get their moment to confront the final three. Find out who will outplay, outwit and outlast the others, on the two-hour season finale.